Pairing Aperitifs, charcuterie, oily fish, paella, red meat. Andrew Gordon, an English wine merchant, bought Domaine du Grand Mayne in 1985. Working closely with his manager Michel Coutin, Andrew transformed the property. In 1985 the vineyard had just 1200 established merlot vines and produced just 200 cases of wine. From 1986 onwards they embarked on an ambitious planting programme. Over the years, Domaine du Grand Mayne was totally transformed into a show piece winery and vineyard. There are now more than 120,000 vines planted on some 34 hectares (84 acres). 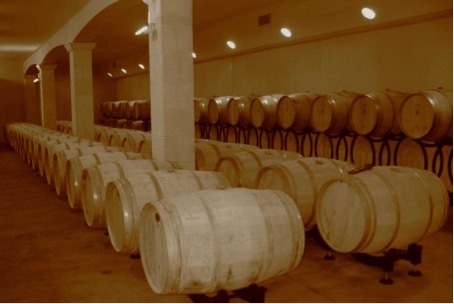 Then, in 1992, the size of the winery was tripled by the addition of a modern building to create a special vinification area for the white wines. Each year more money was invested to maintain the most modern technology and attention to quality, both in the vineyard and the winery. Domaine du Grand Mayne is now one of the top vineyards in the Côtes-de-Duras, with the potential to produce over a quarter of a million bottles of award winning wine each year.